Successfully Added Blackview BV2000 Smartphone - Dual SIM 4G, Android 5.1, 5 Inch HD Screen, Quad Core CPU, Motion Control, Smart Wake (Green) to your Shopping Cart. This 5 Inch screen cell phone with its Quad Core CPU, Android 5.1 OS and youthful looks brings affordability to the entry level market without skimping on features or design. 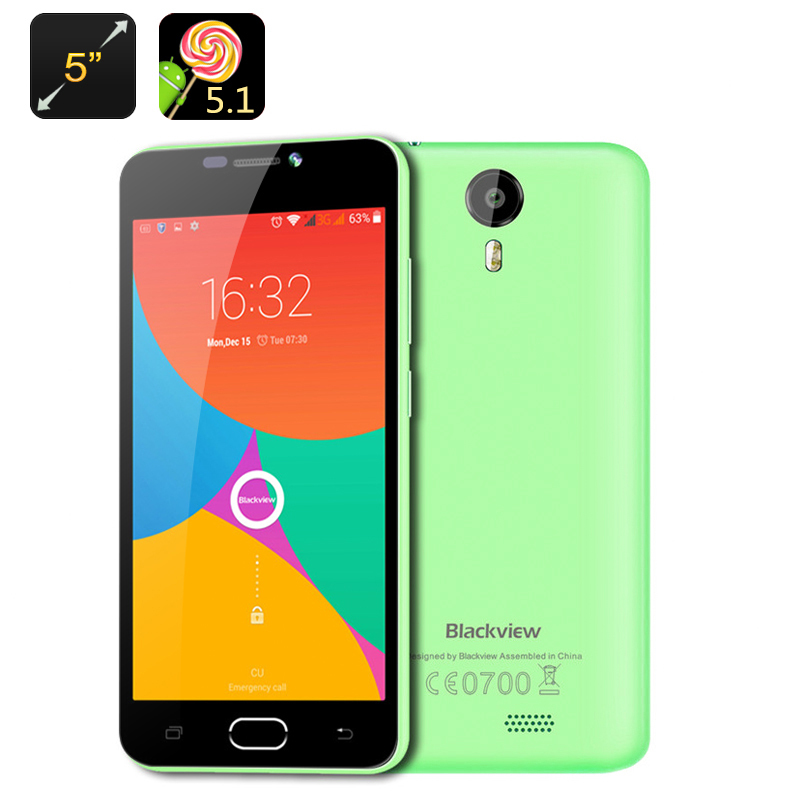 The Blackview BV2000 has a 720p screen and comes with smart wake, gesture sensing and motion control that make opening apps, answering call and interacting with your photos and music easier than ever before. With a Jedi like swipe of the hand you can skip through music tracks and photo galleries. To answer a call just lift the phone to your ear and be drawing a letter on the screen you can head to your favorite apps. Powering this hip phone is a Quad Core MTK CPU and 1GB of RAM so you can handle all the daily tasks effortlessly. 4G connectivity and two SIM cards is a real treat as you can manage multiple numbers and get better network coverage or avoid roaming charges on those holidays away. With a 2400mAh battery there is plenty of talk time available and the phone will last up to 70 hours in standby, perfect for a weekend getaway. The Blackview BV2000 Smartphone comes with a 12 months warranty, brought to you by the leader in electronic devices as well as wholesale Android Phones..
Fast delivery,phone is good quality,optimized.Thank you.Now bathed.